I was honoured to present the keynote address at the Association for Sustainability in Business Conference on the Gold Coast yesterday morning. Although I don’t use slides in such presentations below are the slides provided to delegates that share the substance behind the stories shared. Profit is not a reason for being in business, rather a result of being good at business. Sustainability is both a reason and a result. 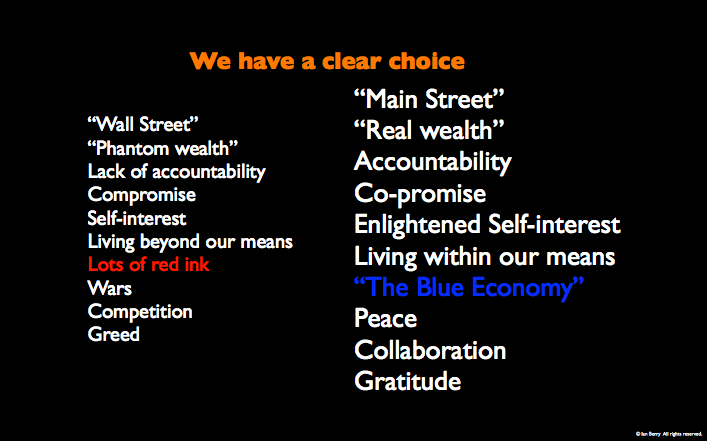 We have crystal clear choices as illustrated below.